We are a well-known company having high-end proficiency in manufacturing and supplying of the performance-centric Packaging Bags. 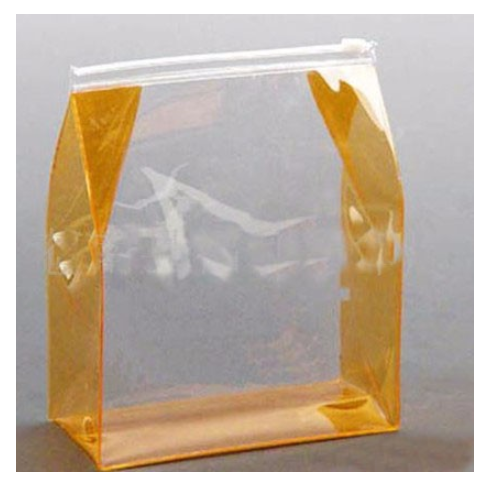 Our Garments Packaging Bags are have been perfectly designed and the overall make of this product is at par with the latest industrial standards. Our Garments Packaging Bags are designed to perfection and are made available at competitive rates which are highly beneficial for our clients. "Mayank Plastics," is a leading name in the field of manufacturing and supplying of Packaging Material & Plastic Printers. Backed by more than two and half decade of industry experience, the company is ISO 9001:2008 certified in the field of manufacturing of products like BOPP Bags, Colored Hanger Bags and Courier Bags. Some of the industry areas where these find use in include food, electronics and pharmaceuticals among others. The products offered by the company are in strict compliance with defined industry standards and are developed using high grade materials and latest technology support. Further, the expertise of the company lies in making these products available in several specifications to match up with the specified requirements of customers. "Mayank Plastics," is presently offering these products through exports to overseas clients. The superior finish quality of products as well as their availability at competitive pricing also makes these highly demanded in the market. Further, the service support provided by experienced professionals as well as stringent quality control measures undertaken by the company ensure that desired quality standards are maintained. As a client-centric firm, the expert guidance handling business operations also significantly contribute to matching up with the demands of the customers.